Home HOLLYWOOD Critics Laud The Post As 2018’s Best Movie! Steven Spielberg has yet again come out with a masterpiece. This time a newspaper thriller, The Post. 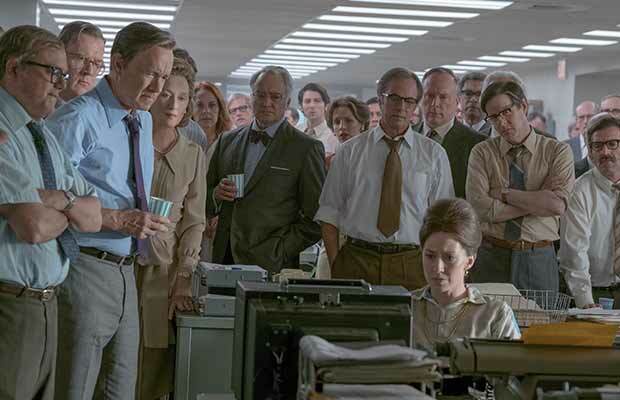 The Post, set in the 1970s, talks about the tense times when The Washington Post decided to publish the Pentagon Papers, the US government’s secret history of the Vietnam War. It stars Meryl Streep as Katharine Graham, The Post’s publisher and Tom Hanks as the legendary editor Ben Bradlee. Coming together for the second time, both the actors and the entire cast has executed the gritty screenplay to perfection. The media is hailing about the movie as the story is based on them. Next articleBigg Boss 11: Viewers Want This Contestant To Win The Show!